Discipline band left to right: Paul Dzendzel, Mathew Kennedy, Chris Herin, Matthew Parmenter. 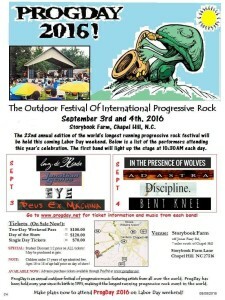 The Discipline band returns to ProgDay! 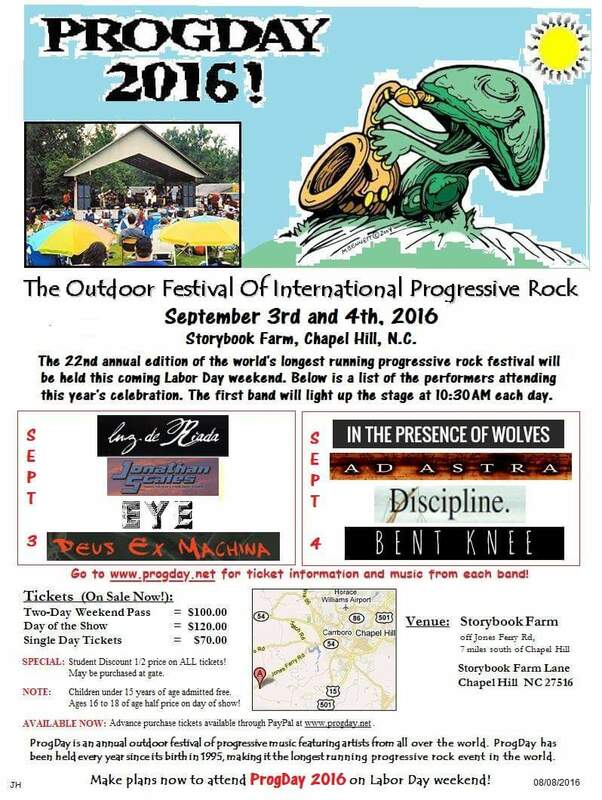 SATURDAY and SUNDAY, SEPTEMBER 3rd and 4th, 2016. Storybook Farm, Chapel Hill, North Carolina, USA.